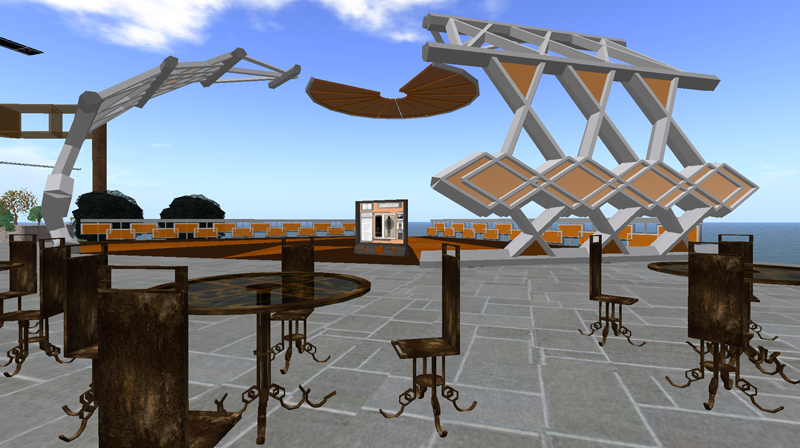 On March 18th, 20011 at the Virtual World Best Practices in Education conference in Second Life, AJ Kelton announced that the Virtual World Educator’s Roundtable meeting will move to the BGSU Virtual Campus in Scond Life. 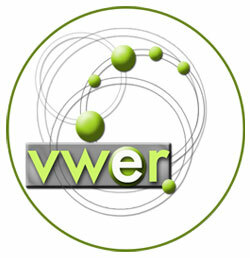 The VWER community (VWER.org) has been meeting regularly to discuss issues in virtual world education for several years. 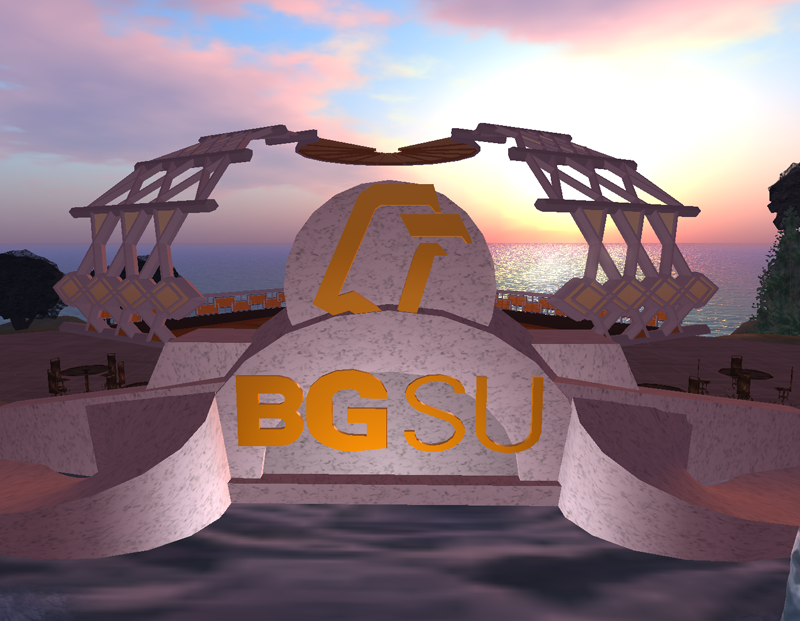 The first meeting on BGSU Community Island will take place on Thursday May 4th at 6pm EDT. Comments Off on VWER comes to BGSU! 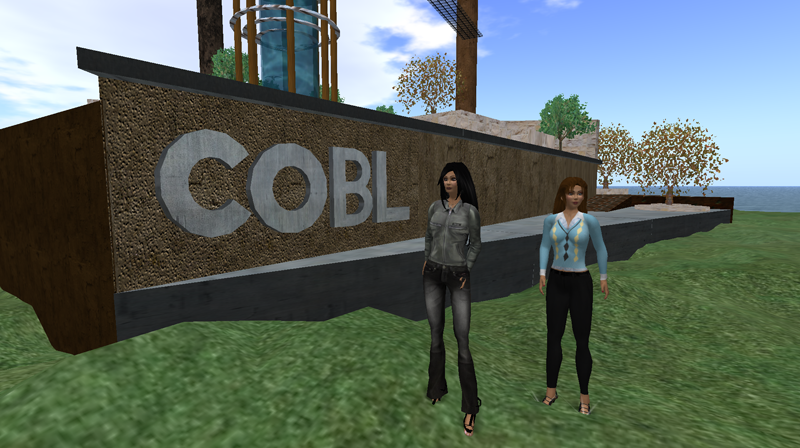 BGSU Virtual Campus Administrators Anthony Fontana and Bonnie Mitchell attended the Second Life Community Conference 2010 this August. Below you can find all 4 of the presentations they gave hosted on Slideshare.net and links to the Google Docs. UPDATE: Videos of the presentations have been embedded and linked below. View more presentations from Anthony Fontana. Download from Google Docs. 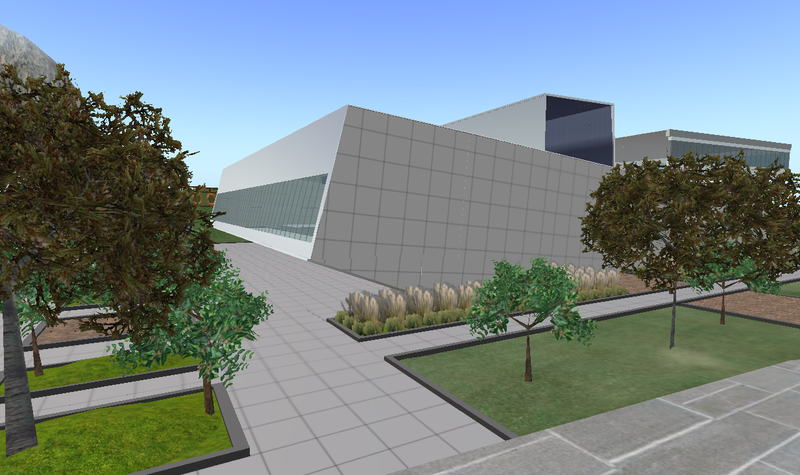 The area of the BGSU Virtual Campus known as Community Island has been growning over the last few months. The Center for Teaching and Learning build is nearly complete. Visit the CTL tree and click on the apples to receive various notecards on teaching and learning. Teleport to the Center for Teaching and Learning in SL! 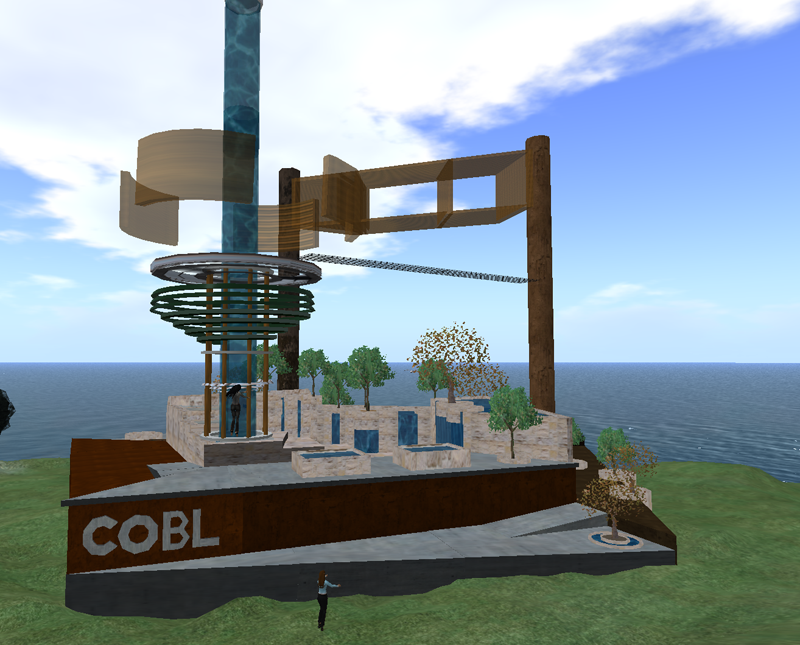 Architecture Instructor and BGSU Virtual Campus Co-Administrator Audra Magermans (Vesta Dreamscape in SL) has designed the new build for the Center for Online and Blended Learning (COBL) which will completed by May 2009. 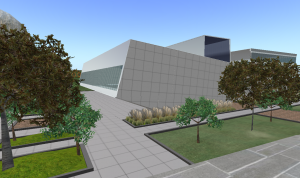 The building has been built in-world by Elizabeth Osterhues, a BGSU Virtual Campus 3D Environment Developer. 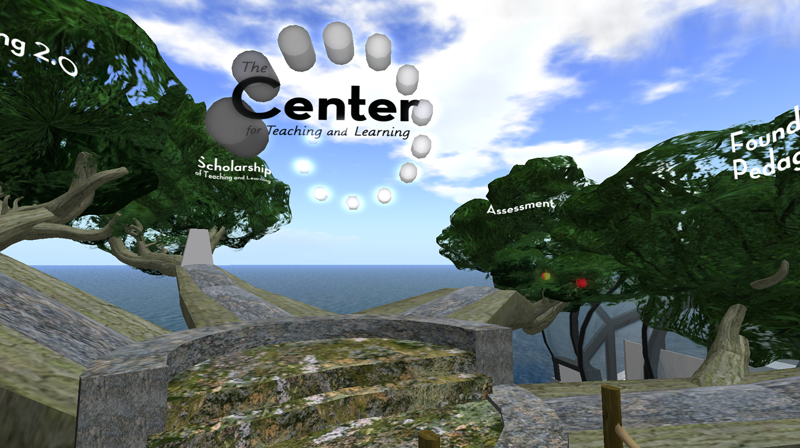 Teleport to the Center for Online and Blended Learning in SL! The Archricecture Department at BGSU now has an office on BGSU Community Island, also designed by Audra Magermans. 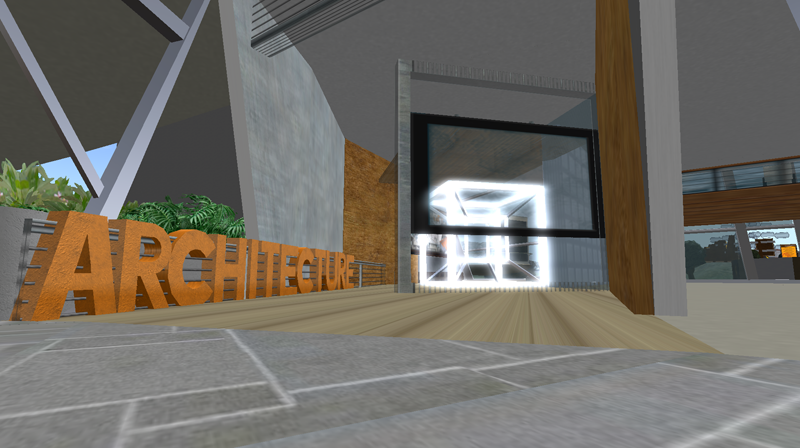 Teleport to the Architecture Departmental Office in SL! The Student Technology Center will also open later this semester and will feature a “Welcome area refresher course”. Using slides, notecards, and videos StudentTech will offer a range of support for faculty and staff who need information on University supported software, the Laptop Loan program, workshops available, as well as navigating your avatar and the Second Life user-interface (UI). Teleport to the Student Technology Center in SL!